The average price of a wedding in 2016 in the United States, according to various sources online, was between $32,00-$35,000. The numbers vary from state to state, some closer to $20,000, but don't let any of those numbers scare you. If you go into your wedding planning with a budget in mind and a good plan, you can keep the cost of your celebration at a comfortable price point. Knowing an approximate amount of what different services cost ahead of time will help you to know where you need to focus your funds. There are some things associated with weddings that you may have your heart set on, while other things may not matter to you at all. 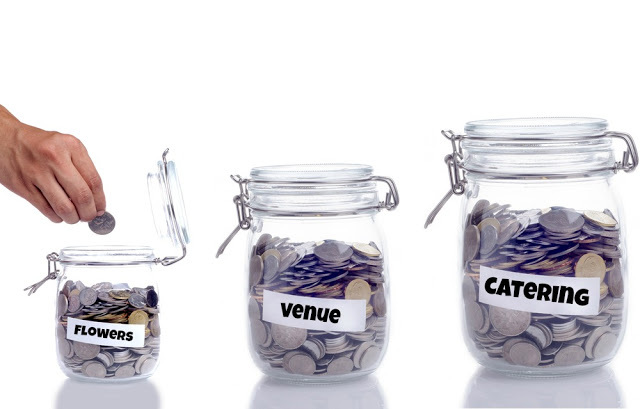 The first step in deciding where you should spend your money is to name the 3 most important things for each of you, such as catering, flowers, the music, the venue, etc.. These are the places where it is worth it to spend your money. You can cut costs on the other items that don't mean as much to you. WhereBridesGo.com has put together a guide showing what percentage of your budget you can expect to spend on each wedding planning task. These are guidelines, and no, the numbers don't add up to 100%. These are just starting points, and you will adjust the percentages according to what's most important to you to equal 100%. Then plug in your proposed budget and do the math for a good idea of where your money will be going. Don't skip the emergency fund! You'll be thrilled it's there if you need it, and you'll have spare money left over for the honeymoon if you don't! 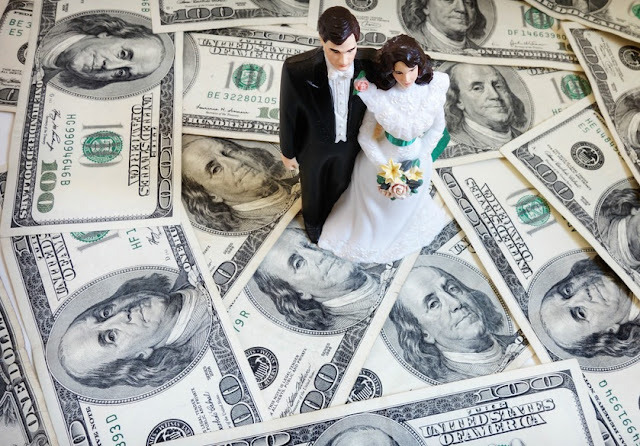 There are a variety of ways that you can cut your costs in certain areas, leaving extra money for the ones that are more important to you and your fiance. 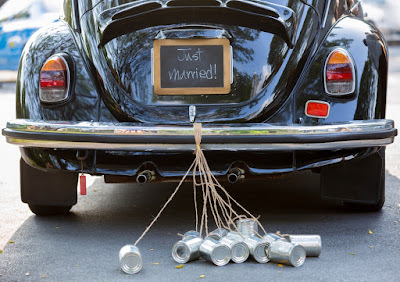 The following ideas will be helpful if that particular wedding item is on your "take it or leave it" list. There are many places online that offer wedding website templates to couples that are absolutely free. All of the information that you would normally put on various inserts in the invitation envelope can be shared with everyone on your website. This will cut down on the size and weight of your invite, cutting down on postage. You'll can save even more by skipping RSVP envelope stamps and having everyone RSVP online or by calling you directly. If you aren't a huge flower fan, you don't have to use a lot of them in your wedding, or even at all if your are particularly creative. Candles are less expensive and look beautiful all around the room. Bridesmaids can carry a single long-stemmed flower instead of an entire bouquet, and boutonnieres can be made out of non-floral items that fit in with the theme of your wedding. Another great idea is to have your florist put together arrangements for the ceremony that can be moved over and used again at the reception. If you don't mind holding your wedding on a weekday evening or early in the day instead of at night, then your caterer will probably have less expensive food options to offer you. Brunch, lunch, and cocktail foods are less expensive than full dinners. Hosting your celebration at a time other than a Saturday night may also save you money on the venue rental, and if it's early enough that you don't include a reception with dancing, you can cut down on your music budget too. Budgeting every penny may seem like a daunting task, but you'll be grateful that you did once the wedding is over and you've stayed within your budget. You can find lots of affordable wedding accessories online when you shop at WhereBridesGo.com. There are many wonderful items for your wedding to pick from, as well as excellent gifts for bridesmaids and groomsmen, without breaking the bank.